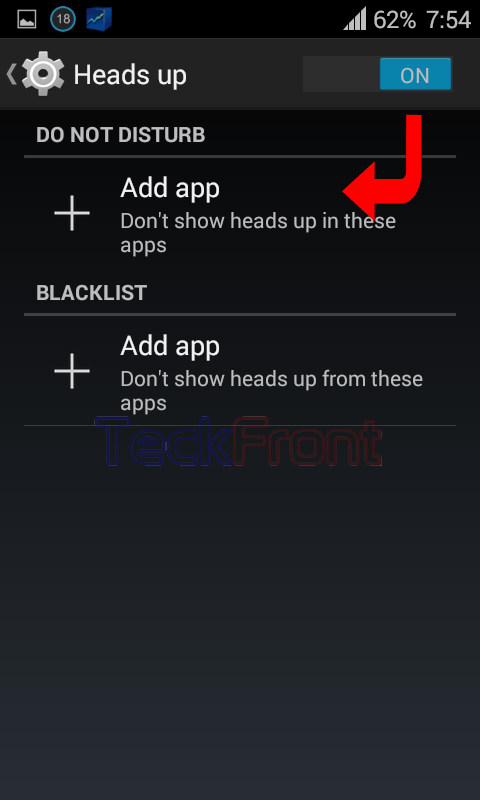 How to Manage Popup Notification of Apps on Screen in Android 4.4.4 KitKat? 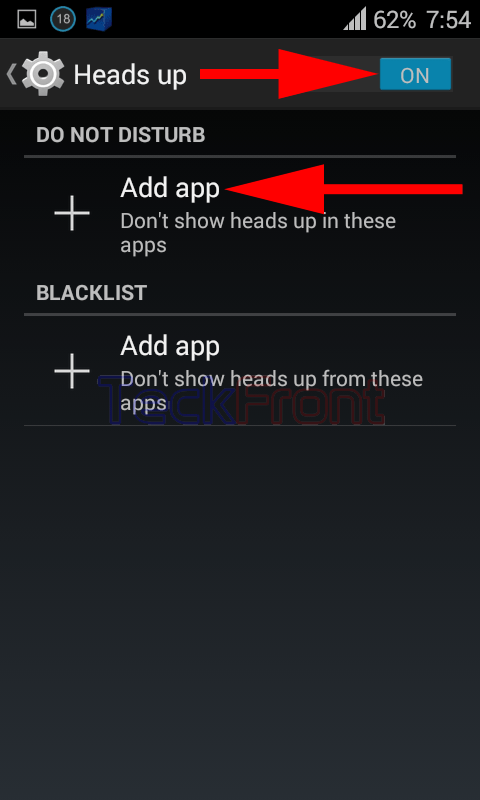 Some of the apps in Android 4.4.4 KitKat require immediately notification so that prompt action may be taken about them. On the other hand, notifications from some of the apps may be annoying ones, disturbing the users during the normal course of usage. The users may not like some of the notification to close and may like to act upon them, promptly. One such example of liked app from where notifications are normally welcomed, is Facebook or Messenger apps. While on the contrary, system apps may not be liked by the users. But, liked and disliked apps may change, from time to time, depending upon the working environment, mood of the user or circumstances as it is not a permanent thing. 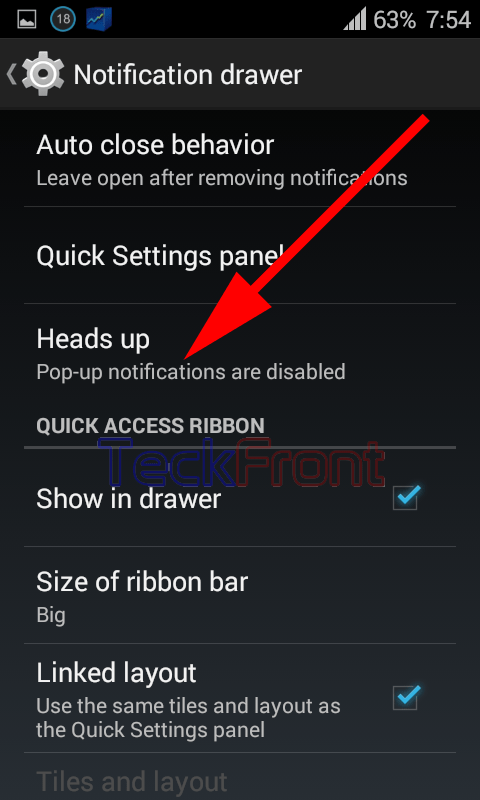 A feature to enable or disable notification from certain apps has been added in the Android 4.4.4 KitKat and you may enable or disable it, depending upon the need, desire or requirement. You may activate this feature by just following the instructions. 1: Tap ‘Settings’ at the Home screen of your Android 4.4.4 KitKat Device. 2: At the ‘Settings’ screen, scroll down to the PERSONALIZATION section and tap the ‘Notification drawer’. 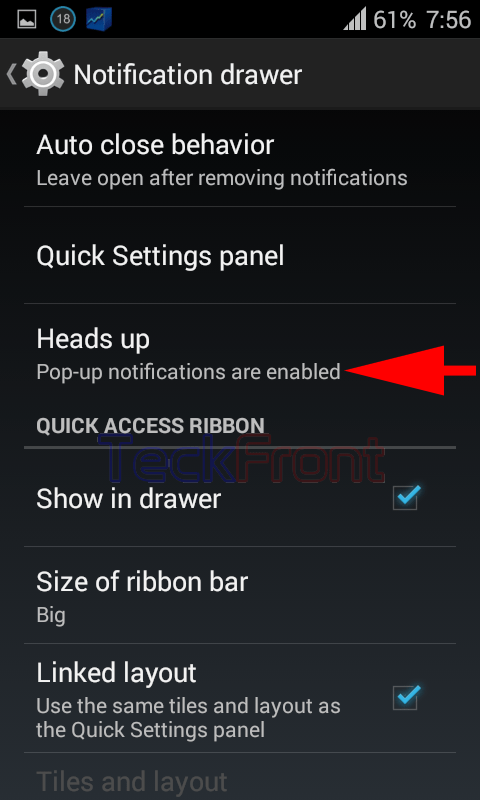 3: At the ‘Notification drawer’ screen, see the status of ‘Heads up’ is; ‘Popup notifications are disabled’. Tap the ‘Heads up’ to change the status, i.e. to enable. 4: At the ‘Heads up’ screen, see the switch, at the top right corner of the screen, is ‘OFF’. 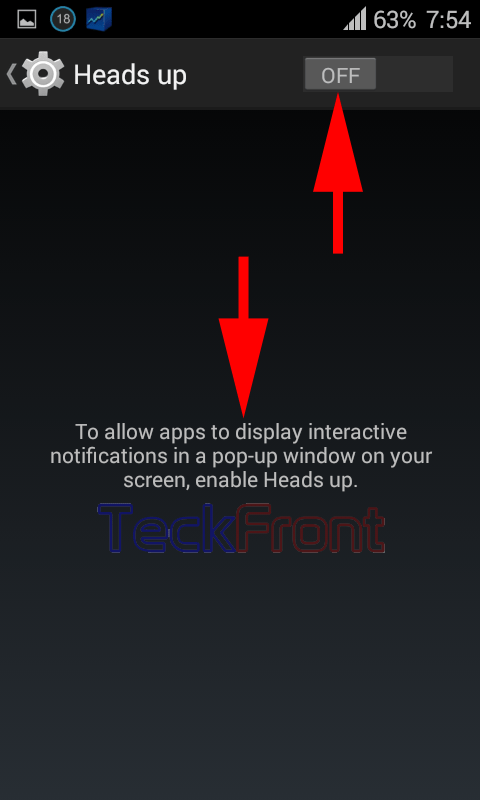 Here, at the screen of ‘Heads up’ Android informs you that if you want to allow the popup of notification on the screen of your Android device, enable ‘Heads up’. 5: Tap to switch ‘ON’ to enable the ‘Heads up’. With the change in color of the switch, from Grey to Sky Blue, see the ‘Add app’ under the DO NOT DISTURB is also enabled where you may add apps to show heads up in these apps. 6: Tap the ‘Add app’ to add the apps. It will take you to ‘Choose the app’ screen where a list of all the apps, installed on your Android device, are displayed. 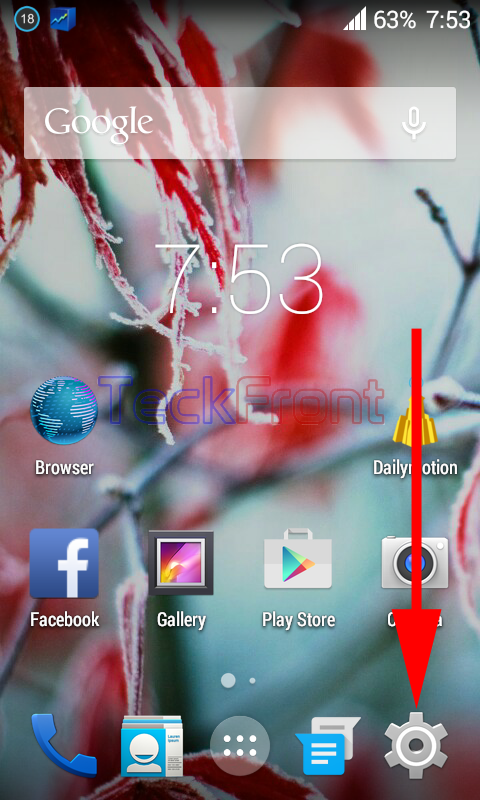 7: Choose and tap apps, one by one, the notification of which you do not want to show. After each tapping, you will be taken back to the ‘Heads up’ screen where added apps are listed under the ‘Add App’ – DO NOT DISTURB section. 8: After adding the apps, of which you do not want to show heads up, when you will go back to the ‘Notification drawers’ screen, see the status of ‘Heads up’ is changed to ‘Popup notifications are enabled’. That’s all! 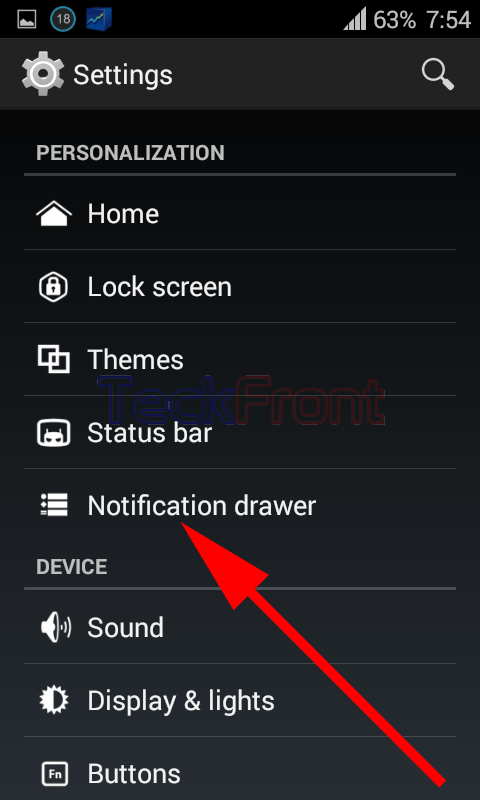 Newer How to Set Quiet Hours for Phone Ringer of Android 4.4.4 KitKat Device? 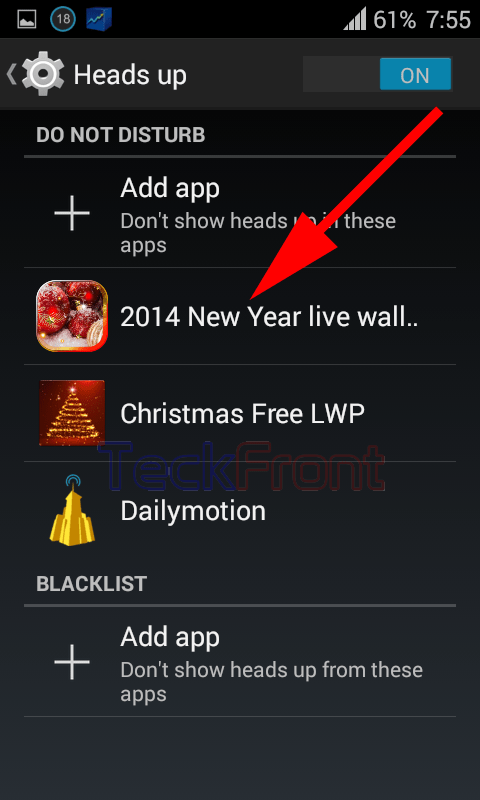 Older How to Upload Videos on Daily Motion on Android 4.4.4 KitKat Device?